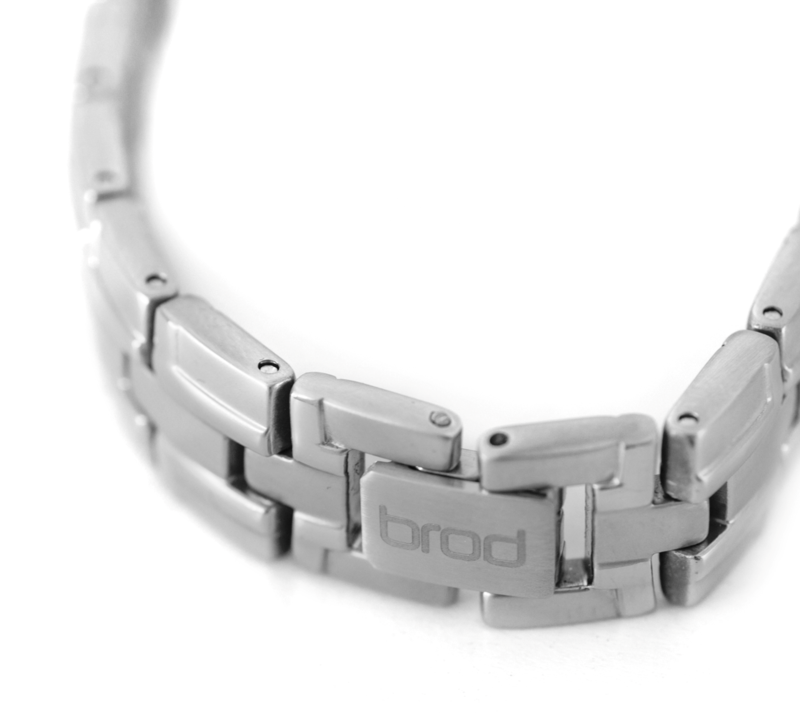 The BrodPod ‘Orbit’ combines all the benefits of magnetic therapy together with the style and elegance of jewellery. 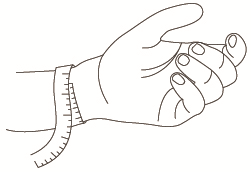 Sizing Guide: Before ordering please measure the circumference of your wrist at the same point where you would wear a watch. If you are at the top end of a size we recommend selecting the next size up. Made from medical grade stainless steel, this contemporary design has a satin finish with a dash of highly polished detail on each link. 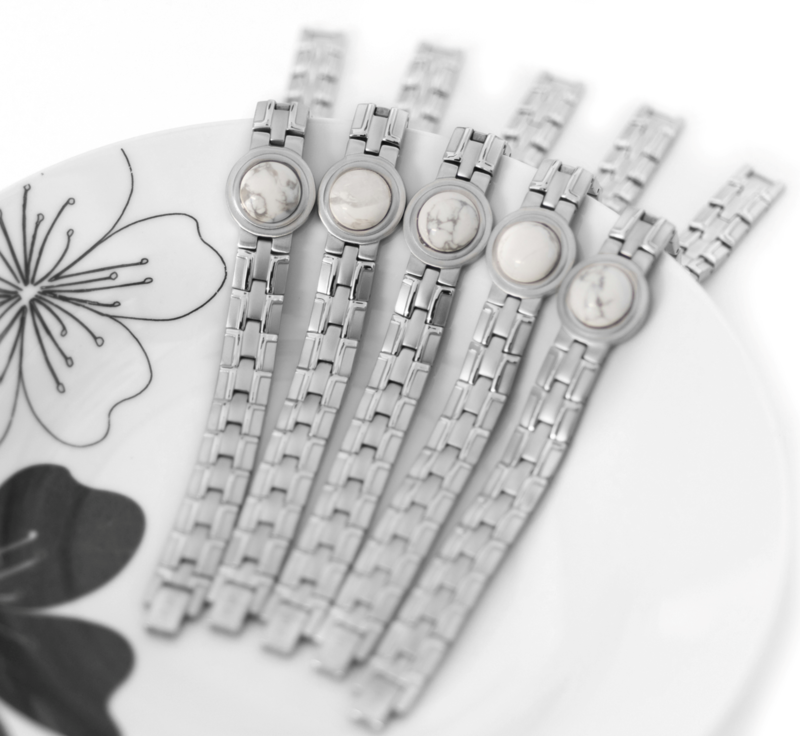 Secured with a fold over clasp fastening it sits neatly on the wrist making it comfortable and easy to wear 24/7. The underside of the bracelet is surrounded with strong neodymium magnets which provide a 360º magnetic field to give maximum performance. Each link is fitted with a 3000 gauss magnet plus another 5 magnets in the main module. 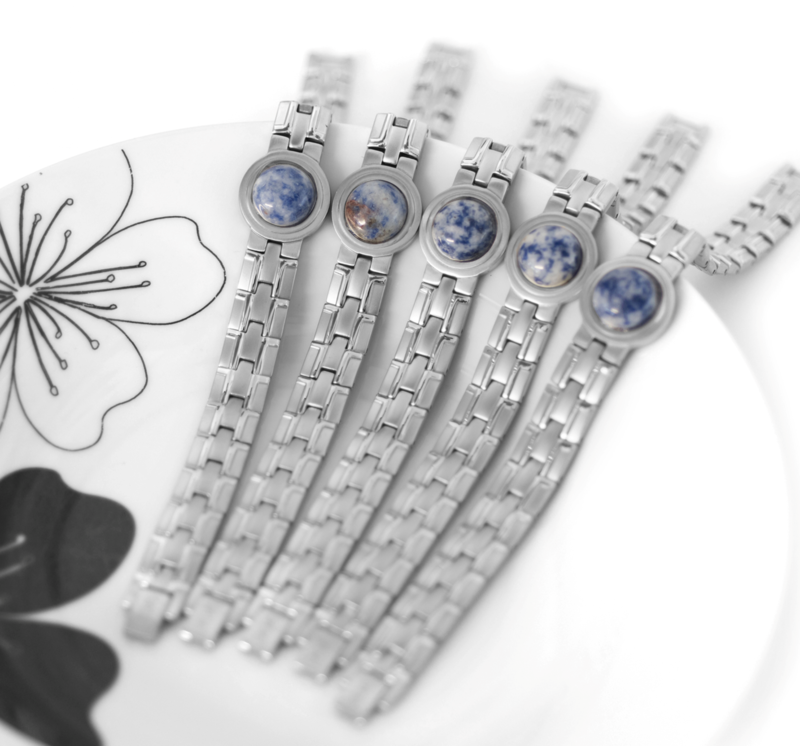 Featured in the centre of each magnetic bracelet is a real cabochon gemstone. These gorgeous natural stones have been chosen for their quality, colour and individualty to add a touch of sophistication. 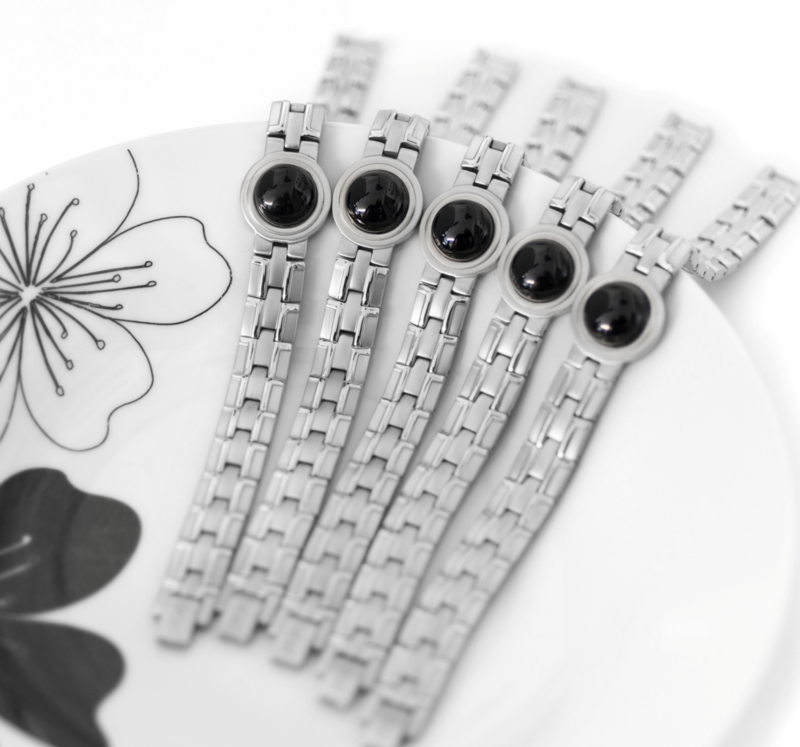 With the exception of the Black Onyx every bracelet is unique. Warning: BrodTeNS should not be worn by anyone who suffers from epilepsy or has a heart pacemaker or other electrical implant fitted. If you have any doubts about the use of a BrodTeNS you should consult your doctor. Is the Orbit the same as a BrodTeNS? No, the ‘Orbit’ bracelet is entirely magnetic and does not feature the microcurrent technology used in the BrodTeNS bracelet. Are the cabochon stones identical? 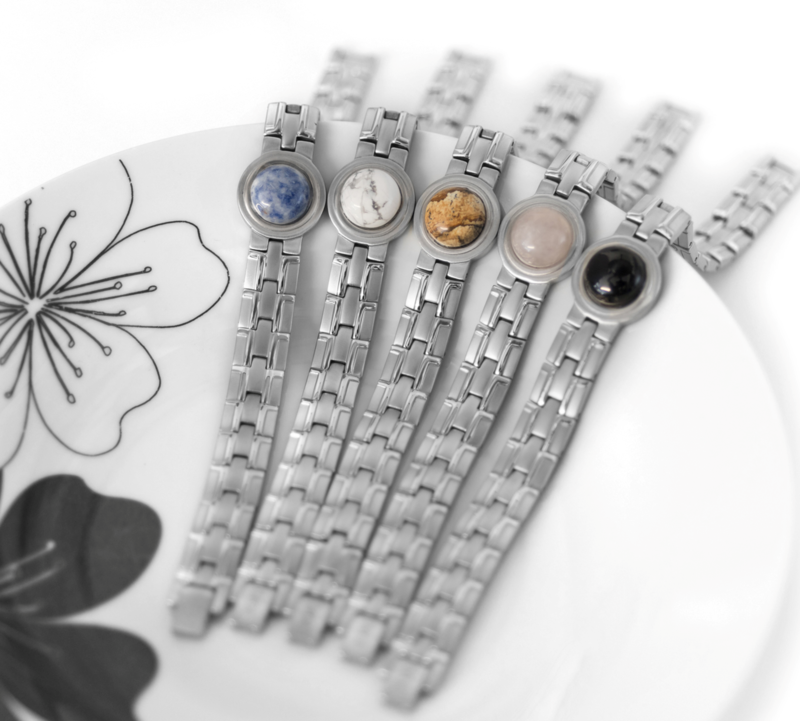 All of our cabochons are natural stones therefore each one is unique. The colours may vary and differ slightly from the pictures shown. Can the bracelet length be adjusted? Yes, but if you have ordered the correct size you shouldn’t need to. Links can be added or removed by your local jeweller. 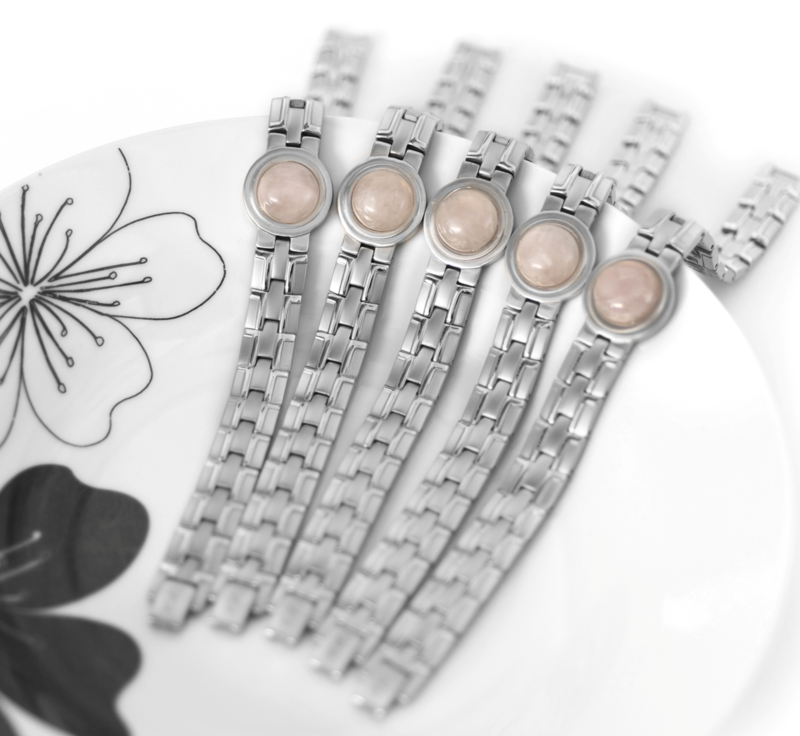 An extra link is provided with each bracelet. How tight should I wear it? There are no hard and fast rules - whatever you find most comfortable because you can wear it 24/7 if you want to. Can I wear it in water? 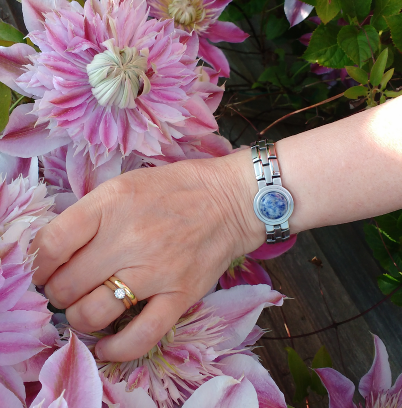 Yes, the Orbit is water resistant but must not be worn in the sea or swimming pool. 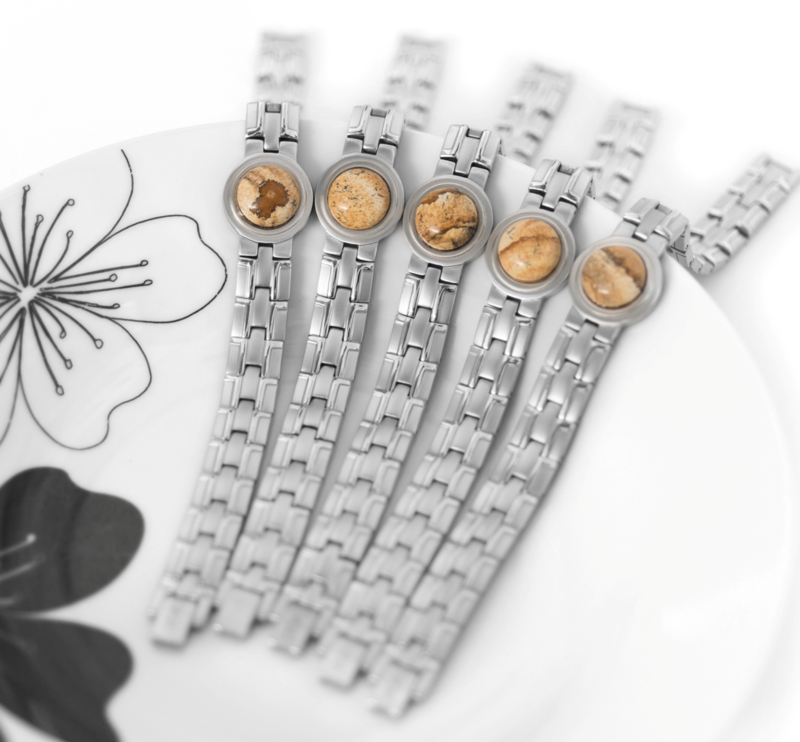 Salt water and chlorine will adversely affect your bracelet and cabochon stone. How wide is the bracelet? The strap width is 12mm, each link is 10mm and the cabochon module 21mm. Can anyone wear the Orbit bracelet? People fitted with a Heart Pacemaker or other electrical implant should not wear magnetic products. Where do you deliver? Other than the UK we ship to most countries worldwide. For all UK orders we use Royal Mail 1st Class or a courier for larger orders. The testimonials below have been submitted and used with the permission of the customer. There is no guarantee that you will achieve similar benefits. Reviews and examples on this website are not to be interpreted as a promise or guarantee of results. Mrs Webber wrote: I thought I would let you know how pleased I am with my Orbit magnetic bracelet, the Howlite looks beautifull. More importantly, during the last couple of weeks the pain in my wrist has virtually gone. Thank you so much.